HOUSTON -- A 21-year-old man was sentenced to 35 years in prison after he and another suspect brutally beat a 70-year-old man. DeAndre Bryant, 21, was charged with aggravated robbery with a deadly weapon after he beat and used a Taser on the victim and his wife while they were inside of their home. According to the Harris County District Attorney Office, the two suspects burglarized the victim's home and stole a total of $56,000 worth of cash, valuables and guns. The victim was first attacked after being approached by the two men while he was inside of his garage. He suffered a broken nose and multiple lacerations to his face. The suspects then dragged him back into his home, where he and his wife were held at gunpoint and robbed. After the two suspects left the home, a civilian witnessed the two suspects throwing latex gloves out of the window while leaving a parking lot near the victim's home. The civilian took a photo of the license plate, which lead police to Bryant's girlfriend, who gave them Bryant's information. 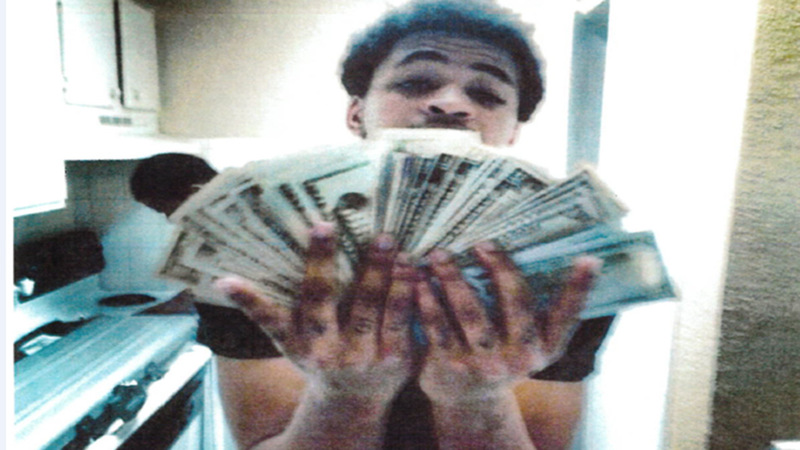 While investigating the suspect, police found photos on Bryant's Facebook of stolen cash and other valuables belonging to the victim.